The parties in conflict resort to the services of an independent and impartial third party trained in mediation, who helps them reach an optimal negotiated solution and, in any event, one that satisfies their respective interests and settles the dispute. The mediator is neither a judge nor an arbitrator, but rather a “catalyst” whose mission is to facilitate negotiation between the parties, to help them to work out for themselves a solution to their disagreement. Thus, the mediator is not there to judge or decide on the dispute. The mediation proceedings rely mainly on the shared desire of the parties to seek in good faith an amicable settlement over a disagreement. CMAP accredited mediators are required to complete a training in mediation techniques and pass an individualised evaluation (ESCP Europe- CMAP certification). Their application is then submitted to the Mediation Committee, an independent committee presided by a senior judge is the only structure vested with the authority to issue the accreditation of the CMAP. For more, please refer to the page dedicated to the benefits of mediation to discover all its positive features and advantages. How to file a request ? A mediation may be starter either jointly by the parties, or unilaterally by one party. In the latter case, the CMAP will contact the other party to seek its consent. When can we use mediation ? By agreement: it is the parties themselves who decide to resort to mediation. The parties may have agreed beforehand and included a mediation clause in their contract . In such case, the parties will have to resort to mediation (link). By judge order: the mediation process is ordered by the civil or commercial court, on its own initiative and with the agreement of the parties, or at the request of the parties. 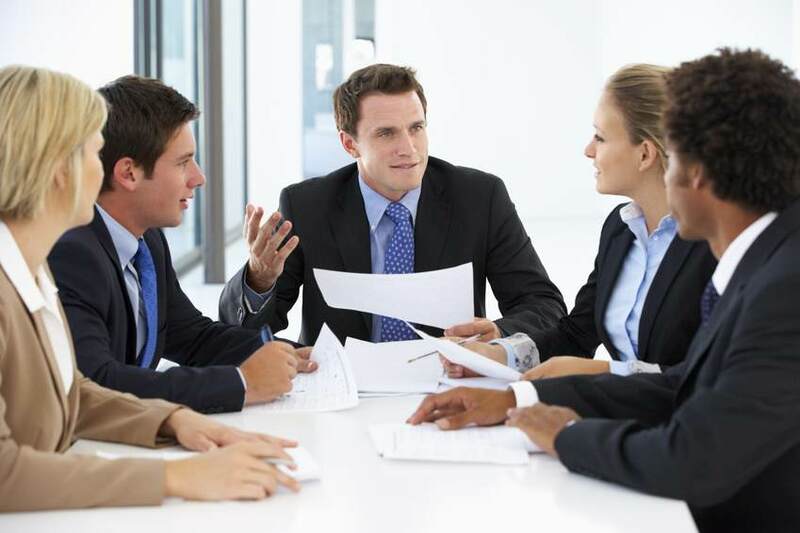 CMAP’s team and the relevant mediator assist the parties throughout the mediation. This process is structured and has been perfected over the years. To learn more, discover mediation in practice or contact us. 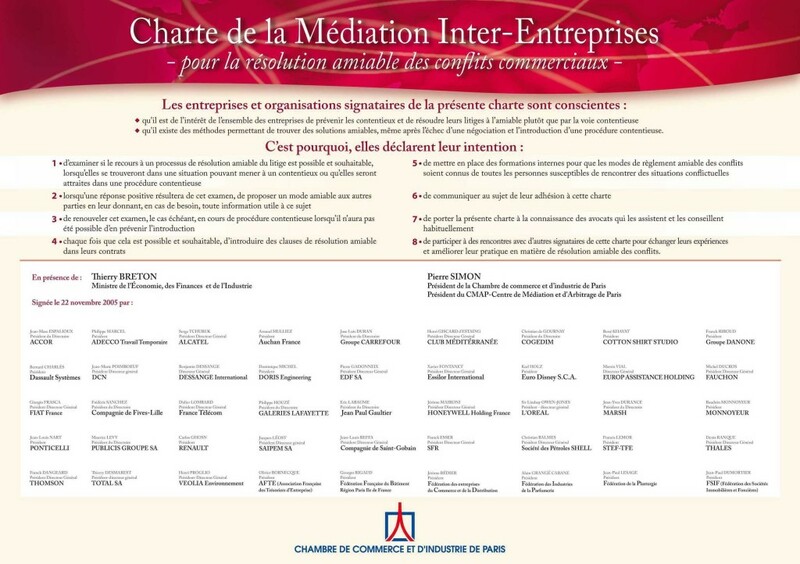 Many companies have signed our inter-company mediation Charter to reaffirm their knowledge of mediation and to demonstrate their willingness to resort to mediation to resolve their commercial conflicts. This charter was launched in 2005 in the presence of Mr. Thierry Breton, the then Minister of the Economy. By signing this Charter, companies commit to favor the use of mediation whenever it is possible. To become a signatory to the Charter, contact us at 01.44.95.11.40 or by email.